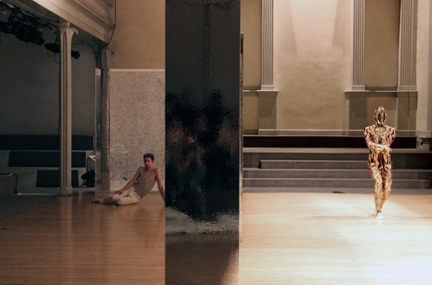 Court/Garden premiered in Fall 2014 at Danspace Project at St. Mark’s Church. It investigates the experiential shifts in an audience’s engagement with a dance through proximity, frame, participation. It takes as inspiration the participatory spectacles of the French Court, the spectatorship of the proscenium stage, and the presentation of live video feeds as frames in which to experience dance. The dance plays with a strict formalism inside a structure in which the audience’s relationship to the event is in constant flux. Through choreographer Yanira Castro’s contemporary lens, a canary torsi looks at theatrical conventions of framing and distance to consider their role in the experience of the audience. CAST, STAGE, AUTHOR is a trilogy of works that premiered for three weeks in September 2017 at three commissioning NYC venues: The Chocolate Factory, Abrons Art Center and The Invisible Dog Art Center. The project begins with a set of audio and video recordings with 15 NYC performers about the act of performing, the act of casting, and how imperfectly a cast might represent our public. These recordings form the material for three works that examine the dynamics and politics in three elements of performance: the cast, spectacle, and authorship. a canary torsi’s newest collaborative project, Performance | Portrait is a responsive video installation that invites each visitor to an encounter with a performer. Grounded in questions of intimacy and connection within the performance experience, four distinguished performers were recorded maintaining their focus on a future audience. Performance | Portrait opens at The Invisible Dog Art Center, December 3, 2016.
a canary torsi creates site-adaptable dance projects within visual and audio environments. Established in 2009 by New York director/choreographer Yanira Castro, a canary torsi invites audiences to engage in scenarios that are anchored around live performance and extend into other media and online platforms. These multidisciplinary arts collaborations incorporate unconventional sites and transform traditional venues. Ranging from formalist movement and immersive audio installations to fictional Twitter feeds and photographic narratives, Castro’s collaborations plunder behavior, gesture, text and sound from a multitude of source: fiction, film, photography to engage participants in an immediate, personal encounter with the work. Yanira Castro is a Puerto-Rican born and Brooklyn-based director/choreographer. 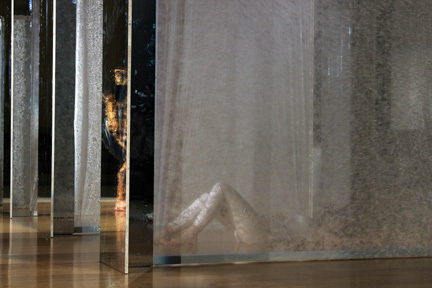 In 2009, she formed a canary torsi, a core group of performers and designers developing performance scenarios within visual and audio environments where the audience’s presence dramatically impacts the work. 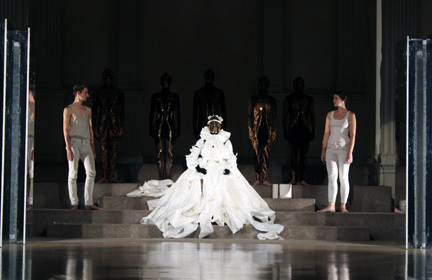 She has created nine evening-length works, receiving a New York Dance and Performance “Bessie” Award in 2009 for Dark Horse/Black Forest presented by Performance Space 122 in the lobby restroom of The Gershwin Hotel. 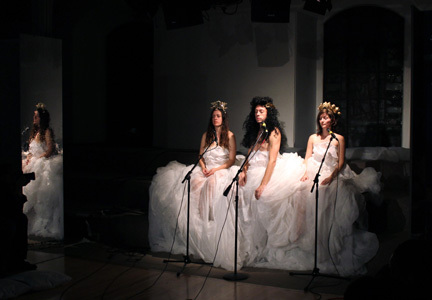 The archive for a participatory multi-media performance installation, The People to Come (thepeopletocome.org), was featured in The New Museum’s exhibit, “Performance Archiving Performance,” in 2013. 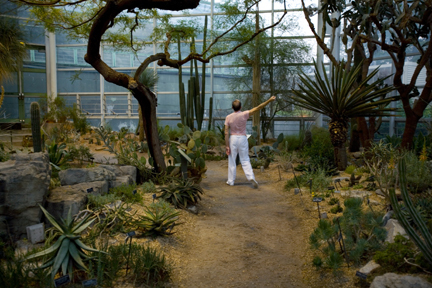 Castro’s work has been presented by Danspace Project, New York Live Arts/Dance Theater Workshop, The Invisible Dog Art Center, ISSUE Project Room, The Chocolate Factory, The BEAT Festival and The Experimental Media and Performing Arts Center (EMPAC), among others, and has toured nationally and internationally. She is currently a participant in the Lower Manhattan Cultural Council’s Extended Life program. Other fellowships and Artist-in-Residency programs include: Returning Choreographic Fellow at Maggie Allesee National Center for Choreography, Vermont Performance Lab Artist, Artist Ne(s)t (Romania), and Rockefeller Foundation (Bellagio, Italy). She has been recognized with various awards for her work, including from The New England Foundation for the Arts’ National Dance Project, The MAP Fund, The Jerome Foundation, New Music USA, Trust for Mutual Understanding, and USArtists International. Castro received her B.A. in Theater & Dance and Literature from Amherst College.